How should I sell loose-leaf tea at the farmers market? I'm going back to the farmers market this weekend, and I'm thinking about selling loose-leaf tea. 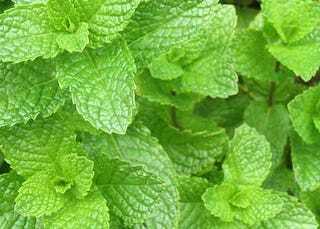 One of my friends has a patch of spearmint in his yard so large he can't keep up with pruning it, so he told me I can have as much of it as I want. Anyway, I have some mint leaves dried and ready to go — I just don't know how to package it. I was thinking about selling little cloth pouches of it with instructions for how to brew (x amount of leaves for x amount of water), but I've seen tutorials online for making individual tea bags out of thread and coffee filters. I know that would be pretty labor intensive, but it seems like a nice touch, and I'm unemployed, so I've got plenty of time on my hands. I know this kind of an odd problem, but y'all usually have good ideas for everything.